Many truck accident victims and their families have little experience with law, and they may be unsure of their rights—or whether they even have any rights at all. Here, our seasoned accident attorneys share their thoughts to answer many of the most commonly asked questions. If you don’t see your concern here, don’t hesitate to reach out to us! Call our office to speak with Joe or Pat today. Accident victims face many difficulties after a crash on the road. Physical injuries, emotional trauma, damaged property, and more can create a very stressful situation. In addition, many victims face extreme financial pressure, as they are forced to miss work due to their injuries. Medical bills and the costs of daily life begin to add up quickly. To make sure that victims do not have to suffer undue hardship because of someone else’s careless behavior, the law allows accident victims to seek justice and compensation by pursuing a legal claim against those responsible. The court or insurance representatives will examine each area to determine if the victim is eligible for that type of compensation. This money can be available to all victims, not just those who are considered the main source of income for a household. For example, a person who provides essential childcare duties can also receive compensation to cover those costs while he or she is injured and recovering. 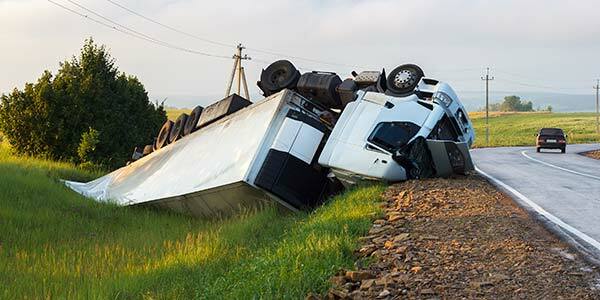 Every case is unique, however, and an experienced truck accident attorney can help victims both understand their rights and prepare a complete picture of their losses to obtain the maximum amount of compensation. Typically, these cases involve negotiations with insurance companies or can even require court trials. During this difficult time, victims should not have to worry about whether or not they will be able to provide for themselves and their families both now and in the future. 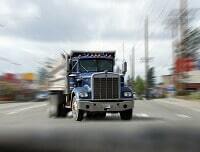 If you or someone you love has suffered injuries in a truck accident, the experienced attorneys at the Shannon Law Group, P.C., may be able to help. Call our Chicago office today to learn more about our legal team and how we have fought to protect the rights of serious accident victims just like you. Who Can Be Held Responsible For My Truck Accident? After a truck accident has left you or someone you love with serious injuries, it is natural to feel upset or even angry. Victims may want to hold the person responsible accountable for what has happened—both to find closure and help prevent another family from experiencing similar pain. Additionally, victims are often left facing painful physical and emotional recoveries that prevent them from working. Bills continue to pile up from the medical care associated with the accident and from regular daily life. It can be difficult to keep up, and the financial stress only adds to the trauma of the accident. The truck driver. Drivers who are speeding, tired, distracted, or impaired frequently cause these dangerous accidents. Victims may be able to file a claim against the driver directly. The trucking company. The company who owns the truck and employs the driver can also behave in a negligent manner. If they fail to perform due diligence when they hire or train drivers and inspect and maintain vehicles, they may be held responsible. Additionally, there have been cases in which companies have pressured their drivers to ignore federal mandates to deliver their load more quickly. This behavior is both irresponsible and against the law. Cargo companies. Commercial trucks commonly haul very heavy loads. If this cargo is not properly loaded, it can shift during travel. Cargo can also fall off trucks if not secured appropriately. When that happens, it can be difficult for the driver to anticipate and control the vehicle, which can cause accidents. If the cargo company did not follow proper procedures to ensure the stability of the load, they may be held responsible. The truck manufacturer. Companies that manufacture vehicles have a duty to the public to ensure that their products are safe. When a manufacturer fails in that duty, it can be held accountable. Whether it is defective parts or simply a poor design, when a truck experiences a mechanical malfunction, even the most responsible and experienced driver may not be able to prevent an accident. Directly after an accident, it can be difficult to know just who is to blame. It is important to gather as much evidence as possible to create a clear picture of how exactly the accident occurred. An experienced truck accident attorney can help victims learn more about what evidence is necessary and help them obtain that evidence. Often, the responsible parties and their insurance companies will attempt to shift as much of the blame as possible—to other parties or even the victim. So, it is vital to get to work as soon as possible. If you or someone you love has suffered injuries in a truck accident, take a moment to fill out our online contact form today, and the dedicated attorneys at the Shannon Law Group, P.C., will get back to you promptly. We can answer your questions and help you get started protecting your future and your family.